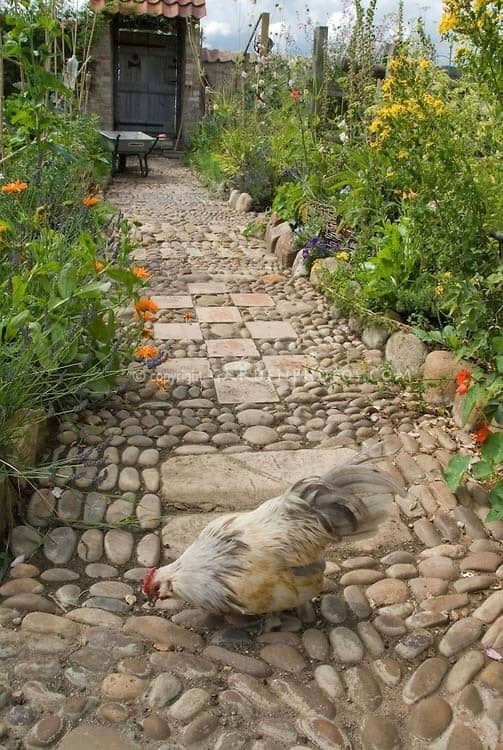 Adding stepping stone pathways into your garden can be an excellent addition, enhancing the aesthetic and helping to lead visitors on a stroll through your landscape. 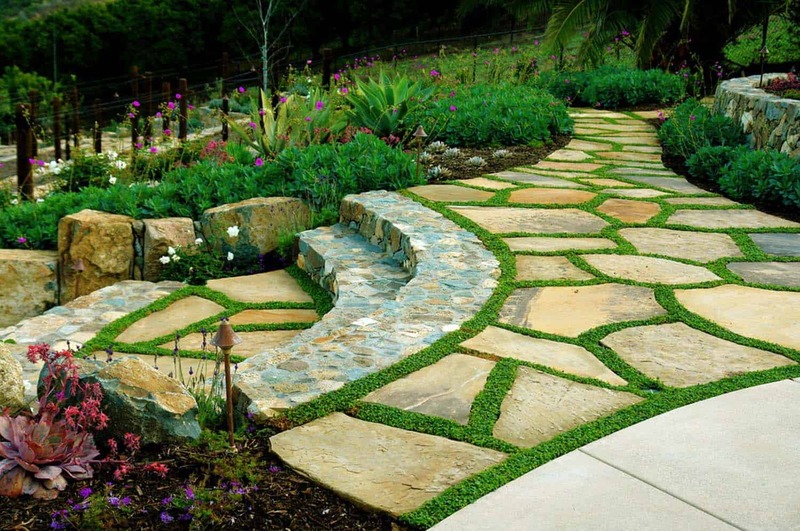 Stepping stones look very natural and are easy to maintain, if they are on your lawn, they can be mowed right owner. 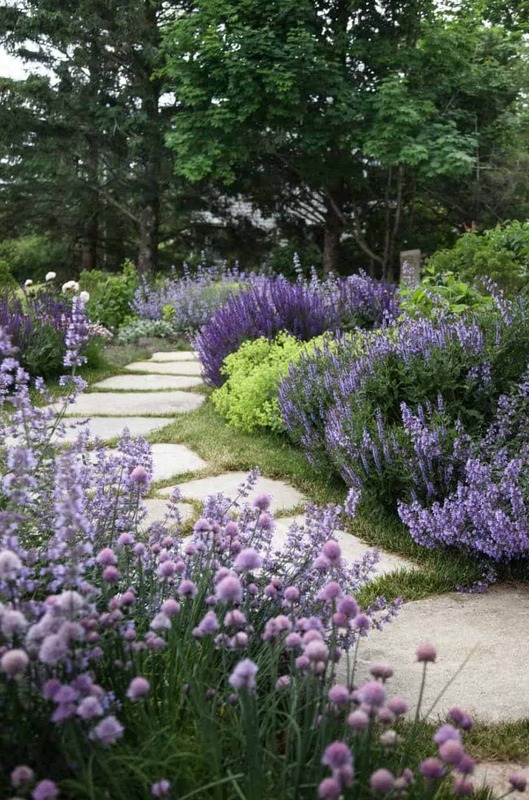 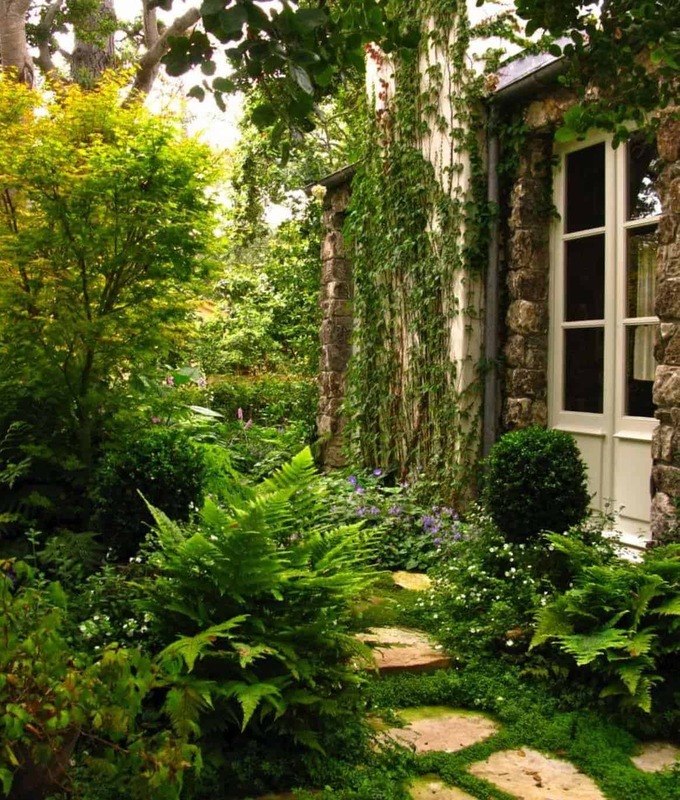 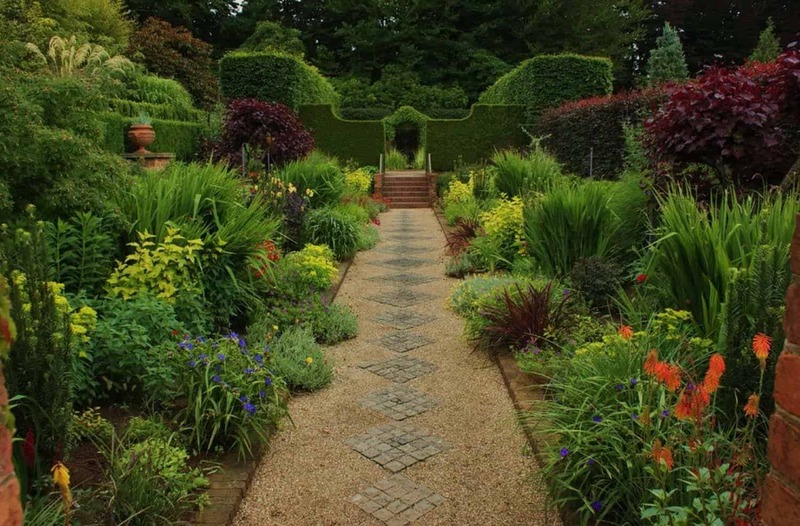 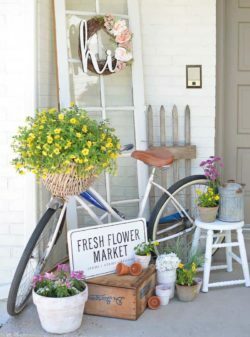 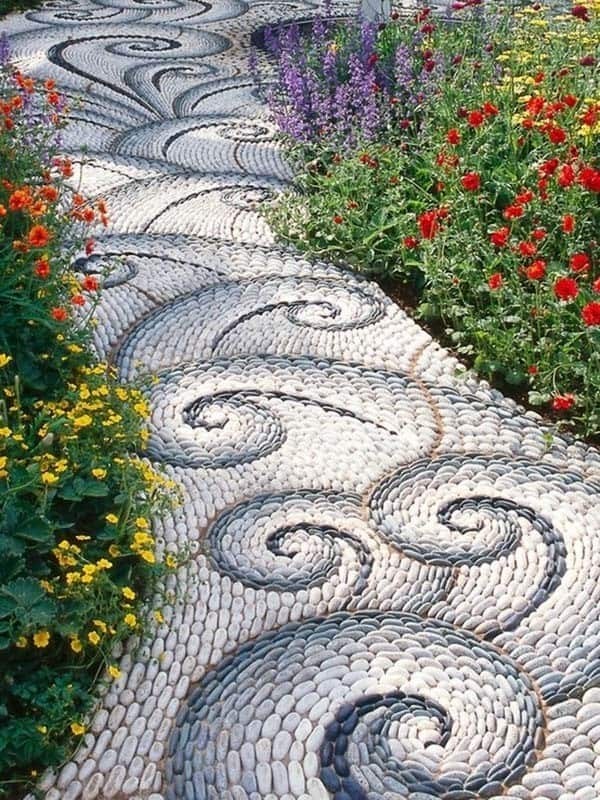 You can use them to help create a fun pattern and if you have a lot of space and gardens on your property, you can use them to create a multitude of pathways. 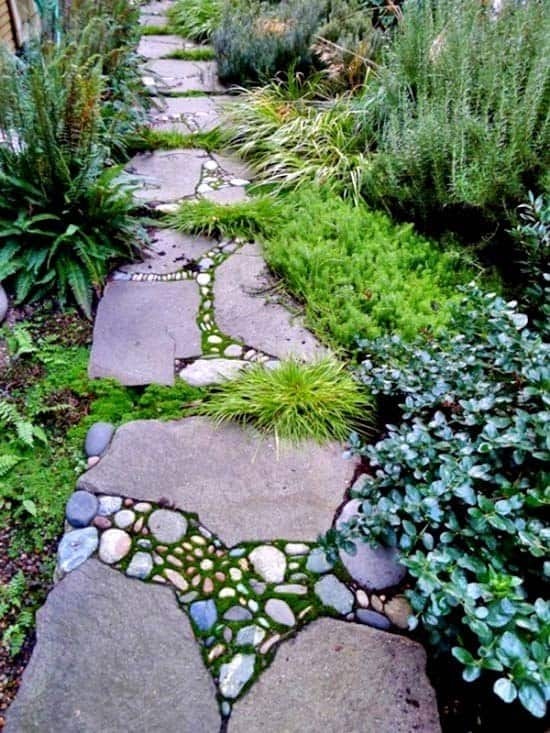 Stepping stones can be a great way to lead people to a hidden area, such as a secret garden, courtyard, or a water feature. 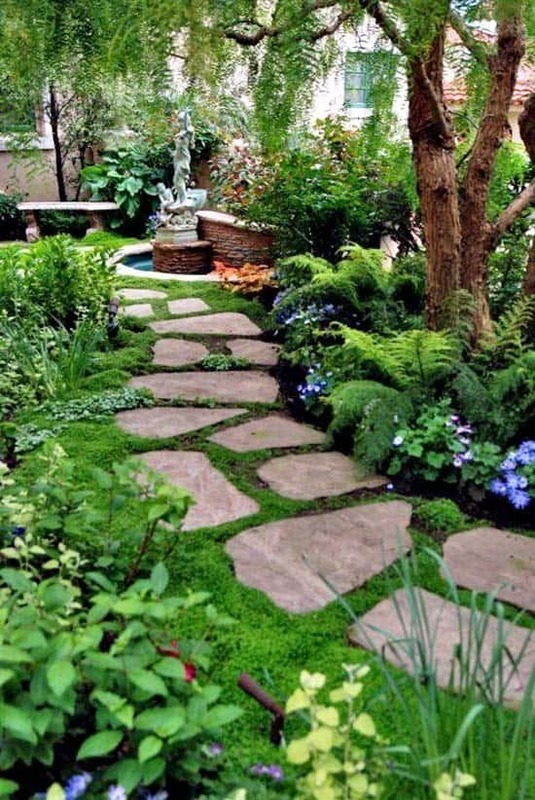 Be sure to add visual interest around the stones by framing the pathway with colorful blooms and lush greenery. 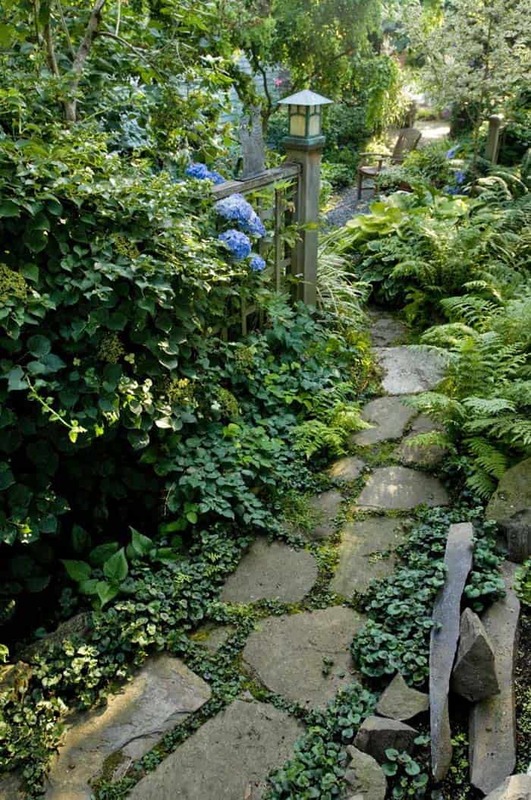 Stone pathways can lead from your house to a patio with comfortable outdoor furnishings, to a firepit, from your patio into the forest or to a wild garden or even a garden shed! 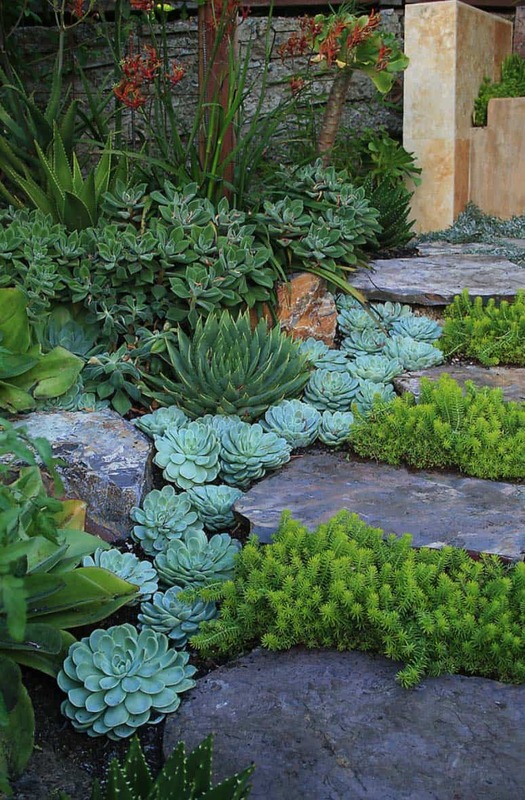 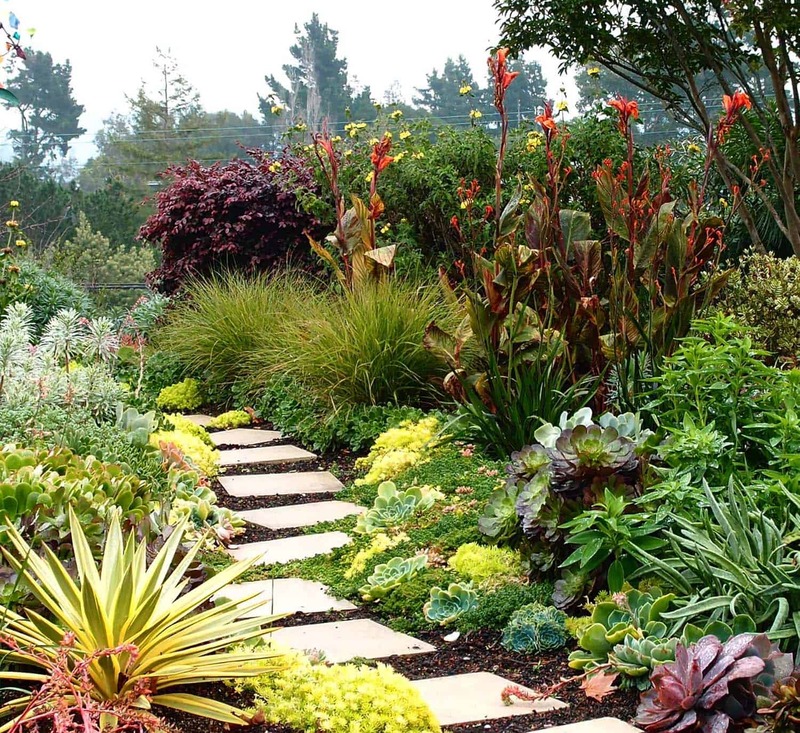 You can plant succulents around your stones, moss or even use mulch, which also helps to keep unsightly weeds at bay. 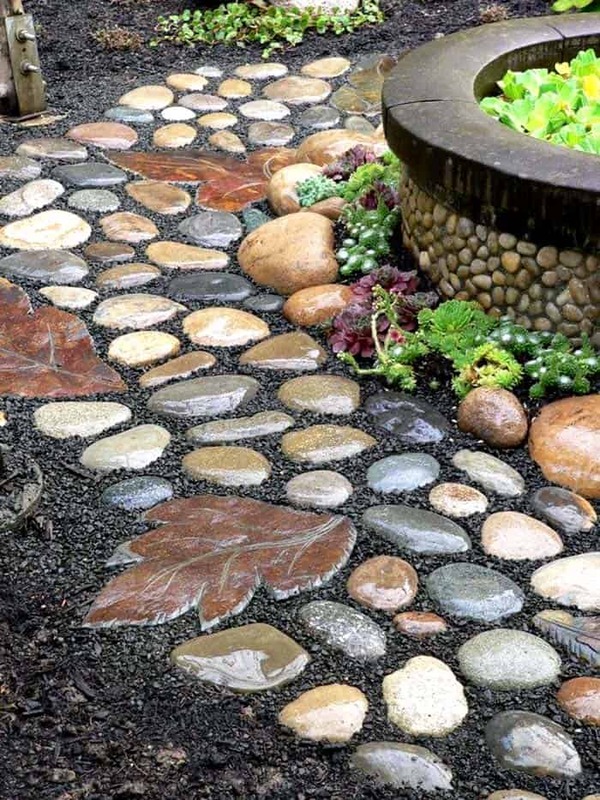 The stones can be various shapes and sizes, they can be in a mosaic pattern or a mix of sizes with pebbles surrounding them, it all depends on your taste and what best fits with your garden. 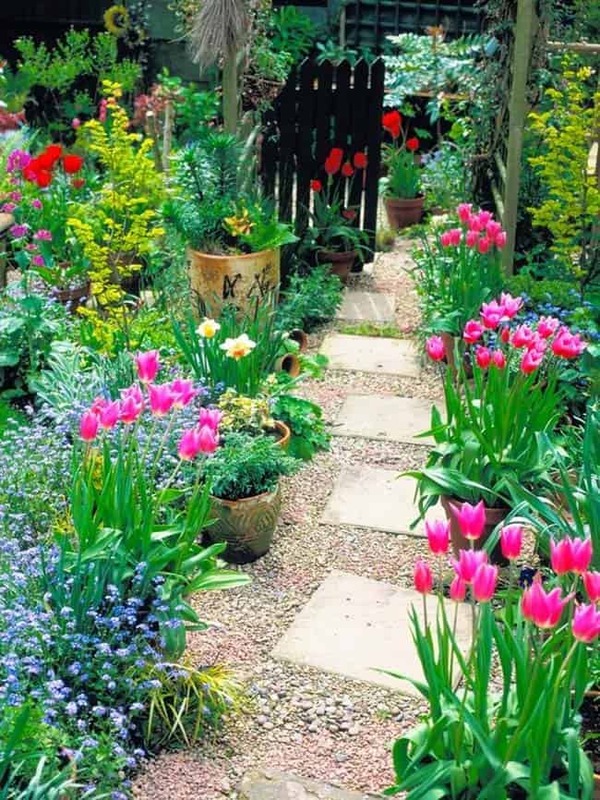 When it doubt, have a look through images to see what looks best, such as what we have gathered here for you today. 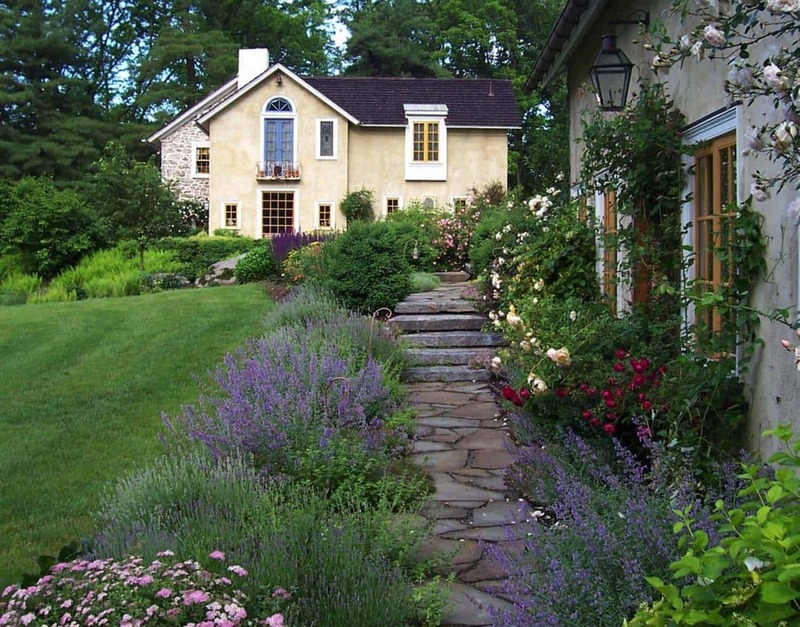 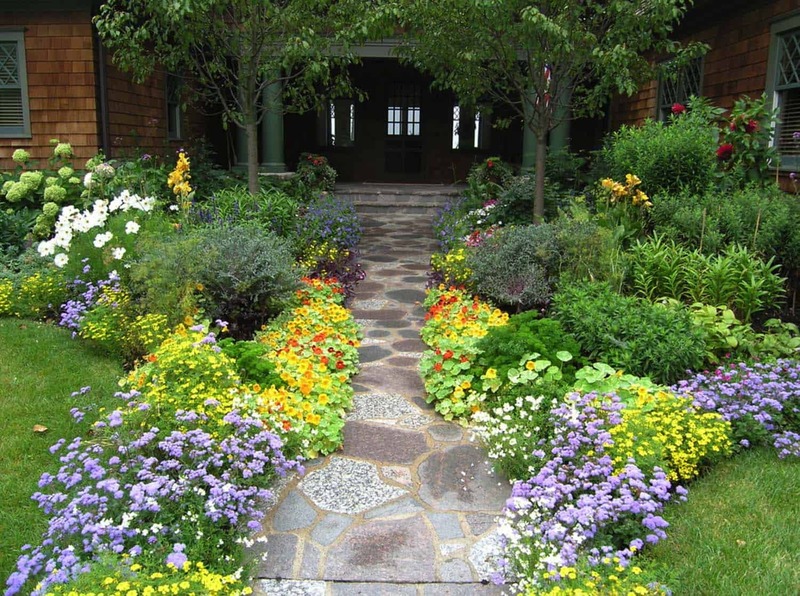 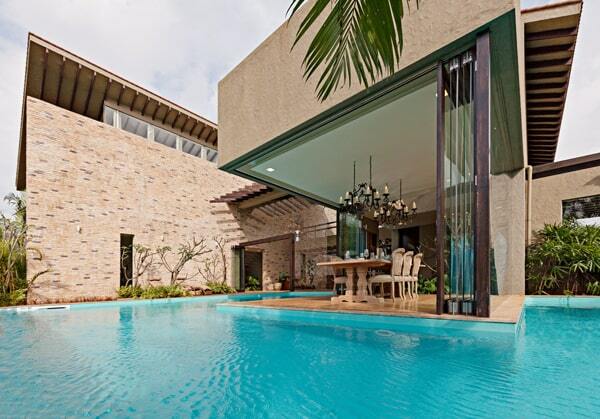 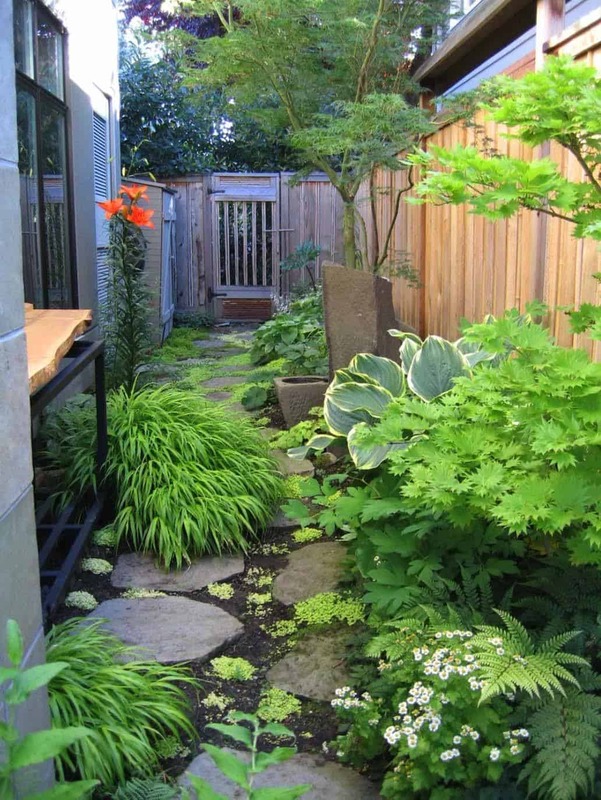 Another idea is to consult with a landscape architect or professional gardener in your area. 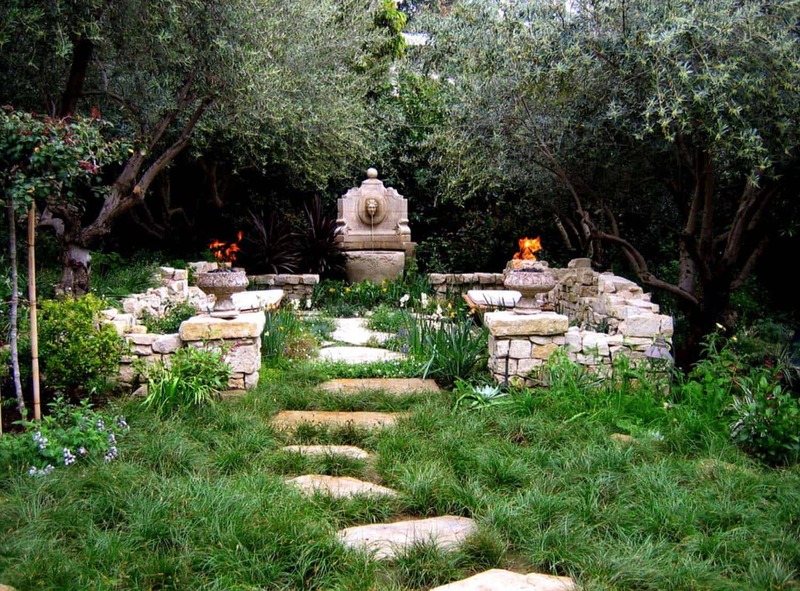 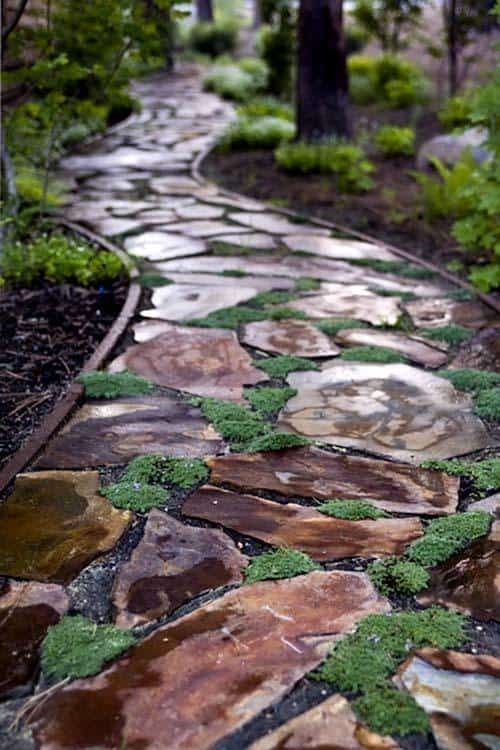 We hope you get some great ideas and inspiration from the stone pathways featured below, enjoy! 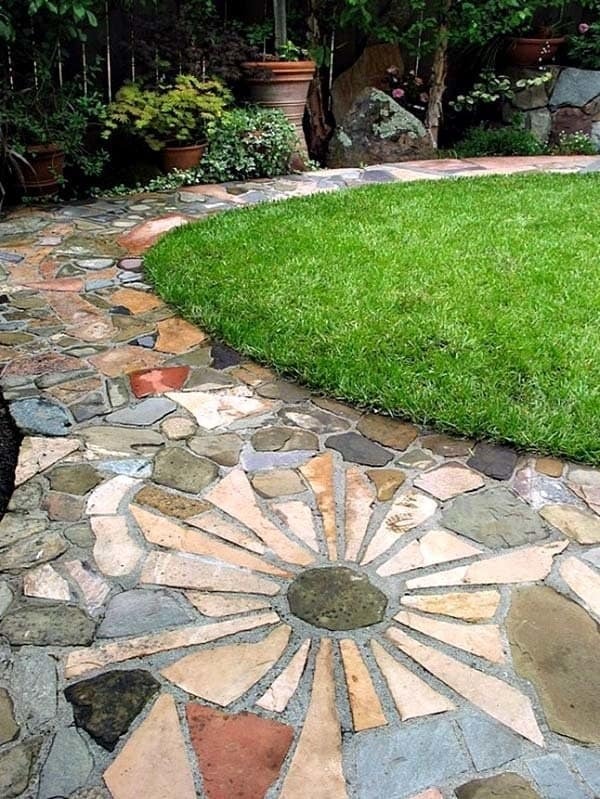 One of the nice things about incorporating a stone pathway onto your property is that not every stone has be the same size or shape. 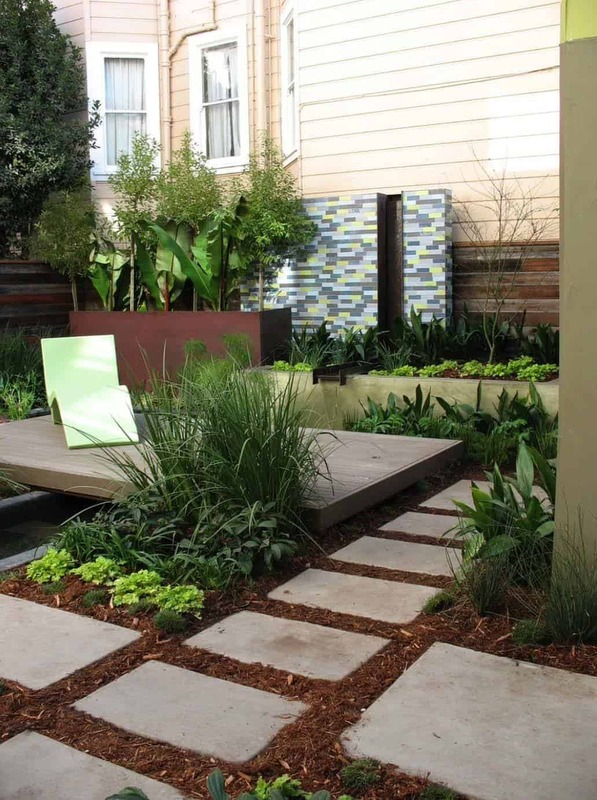 Once you select a color and design that will best suit your outdoor environment, the process of selecting the size and shape will become a little bit easier. 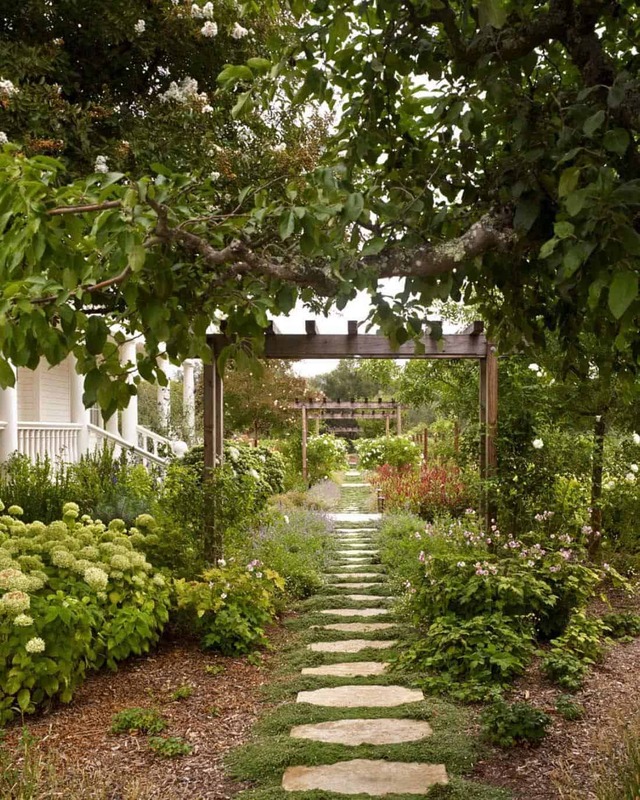 In the image above, stepping up the light-hued walkway invites visitors to enjoy the colorful garden that surrounds it. 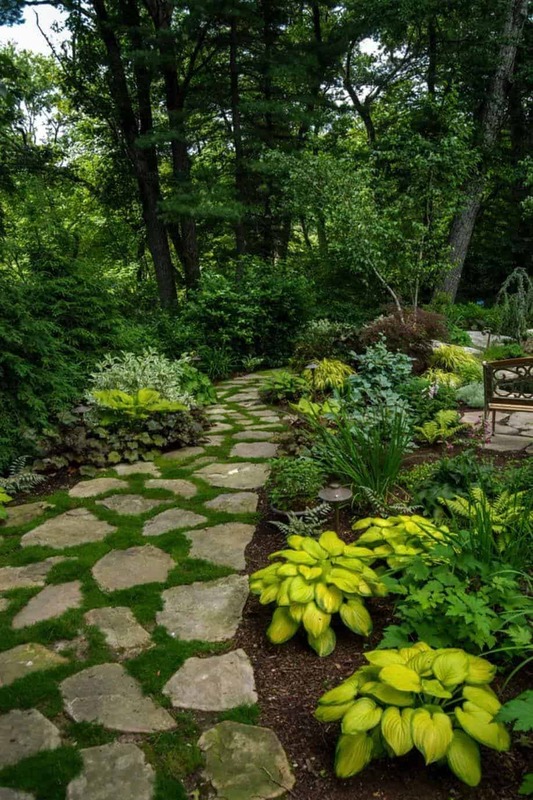 A beautiful woodland path features pine needle mulch that adds a wonderful aroma and adds to the beauty of the stepping stones. 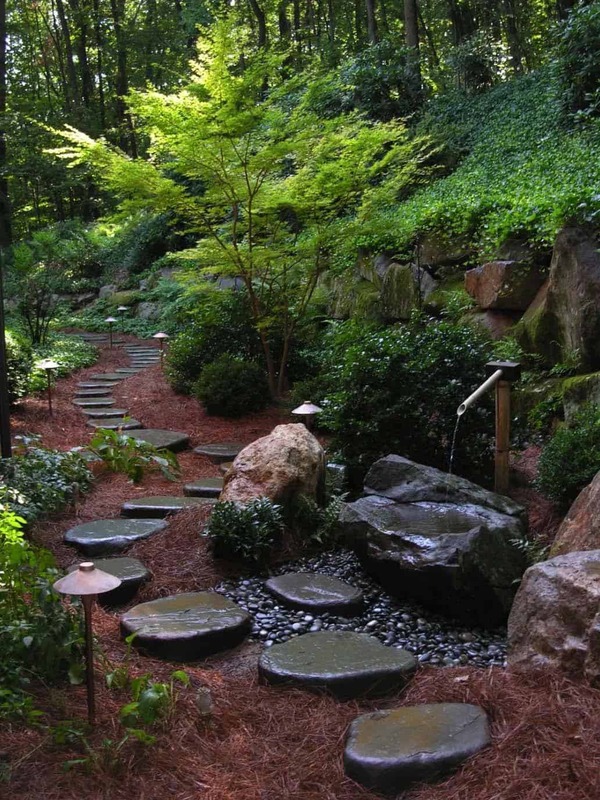 The stone pathway leads its visitors to a water feature of bamboo and stone. 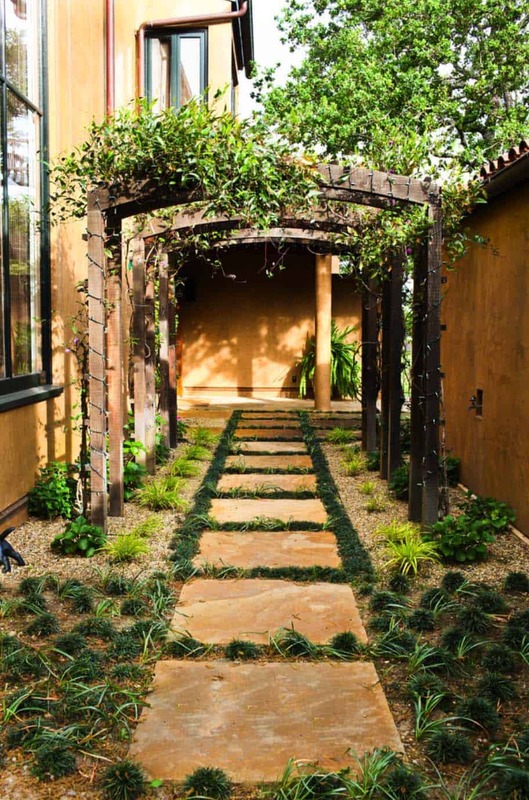 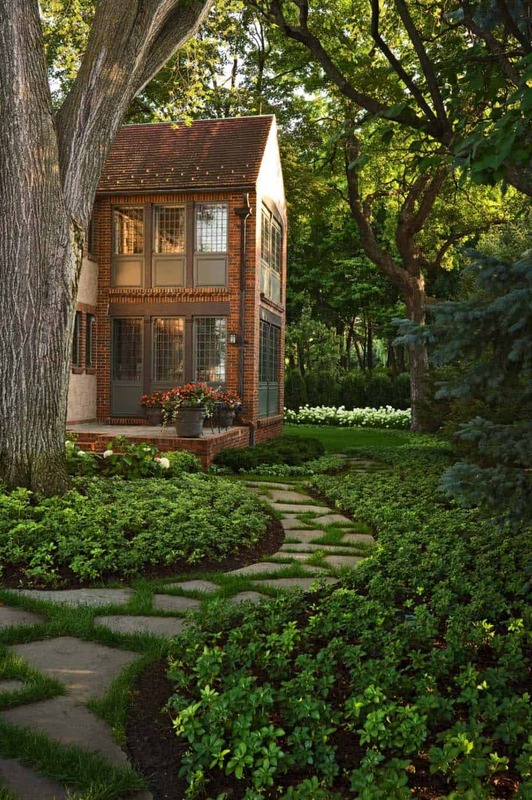 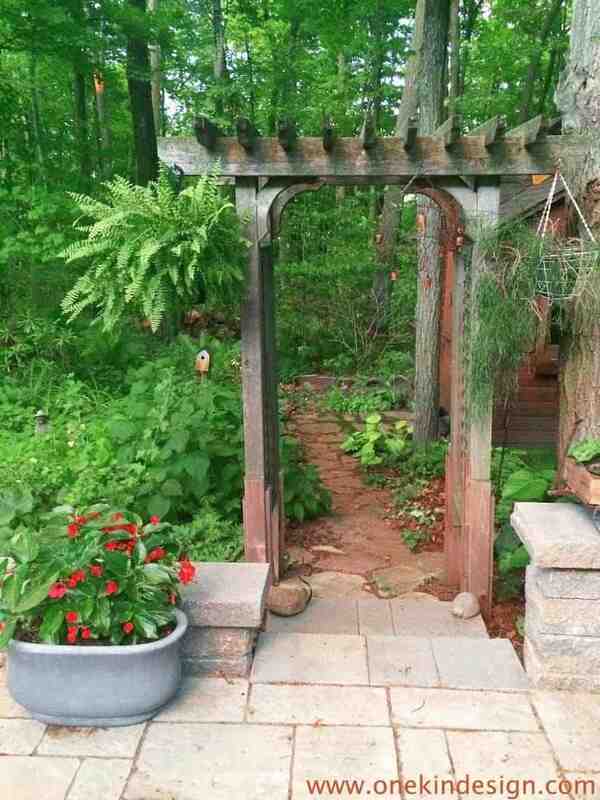 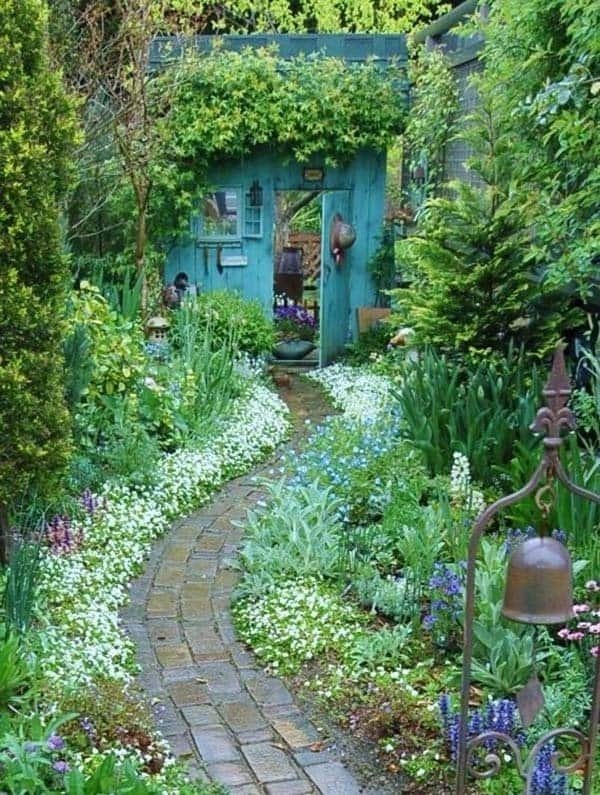 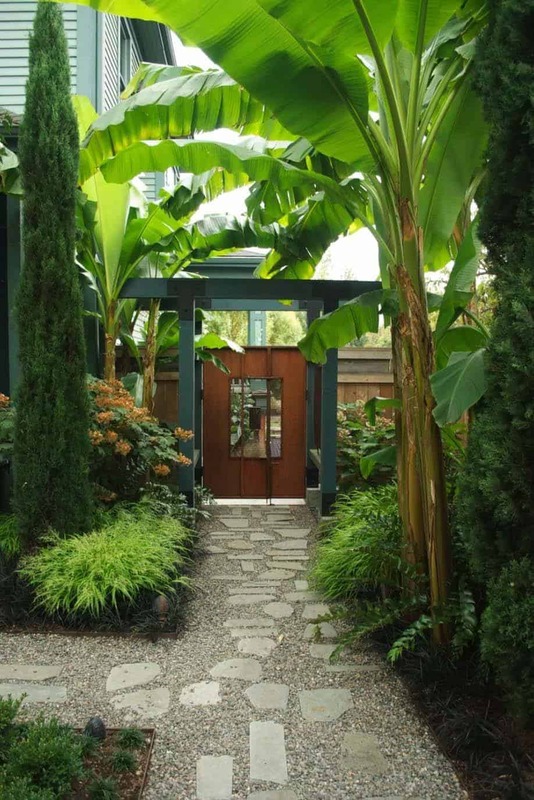 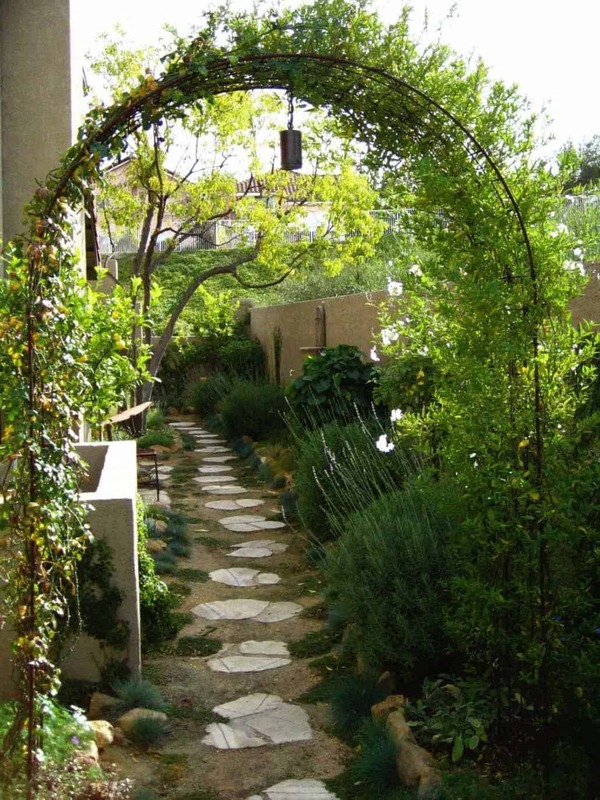 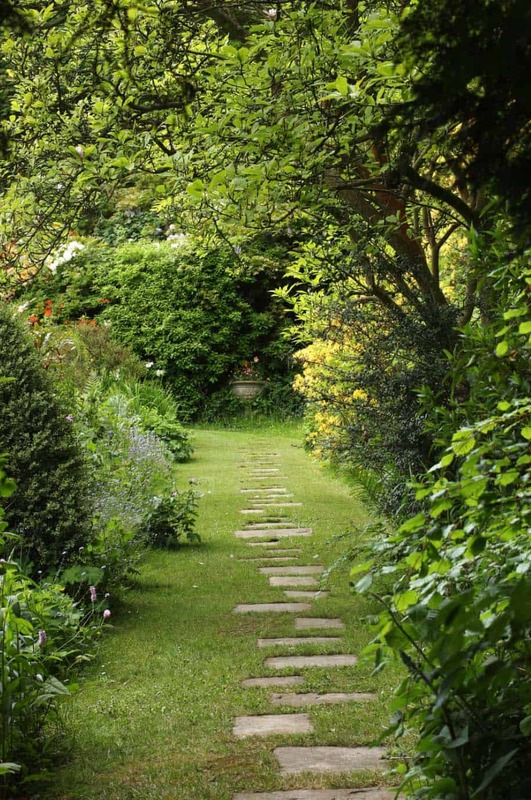 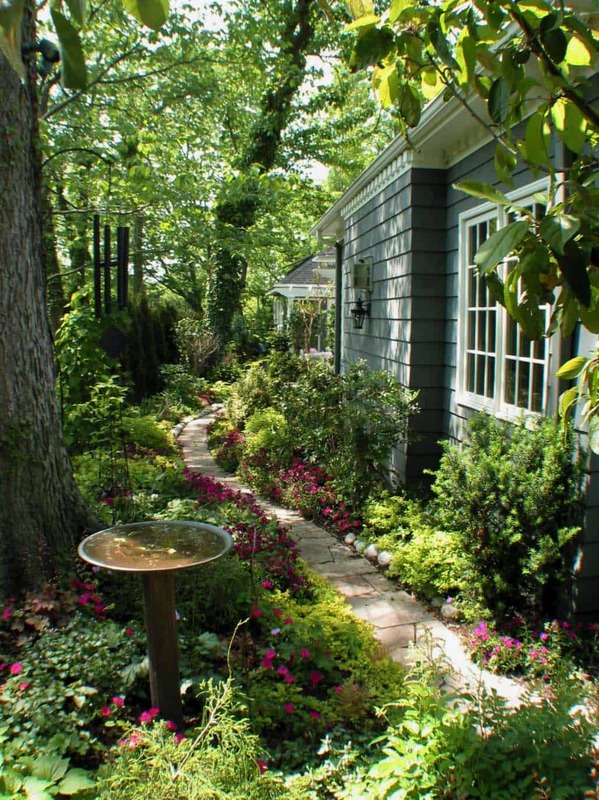 Incorporating a pathway like this onto your property adds a touch of magic to a shady spot. 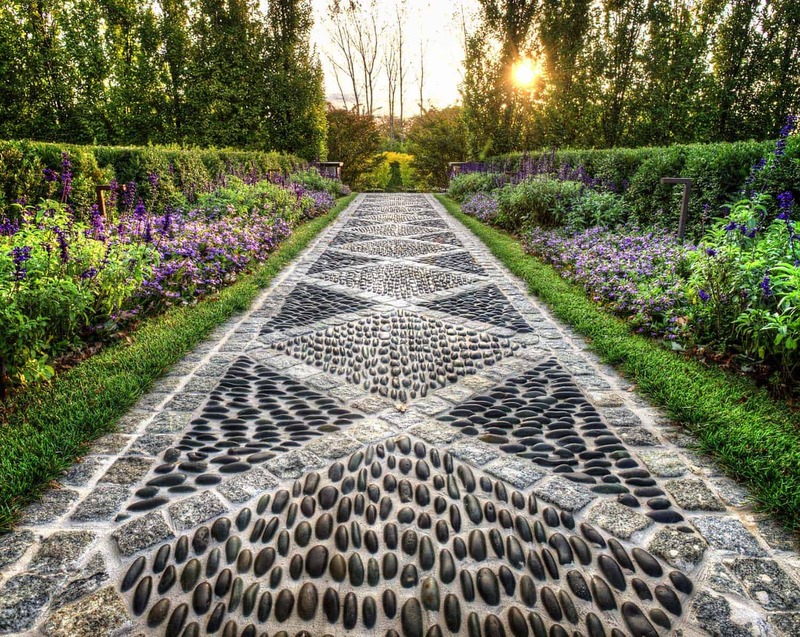 In Sydney, Australia, this beautiful secret garden features a European-inspired aesthetic, with stepping stones surround by gravel. 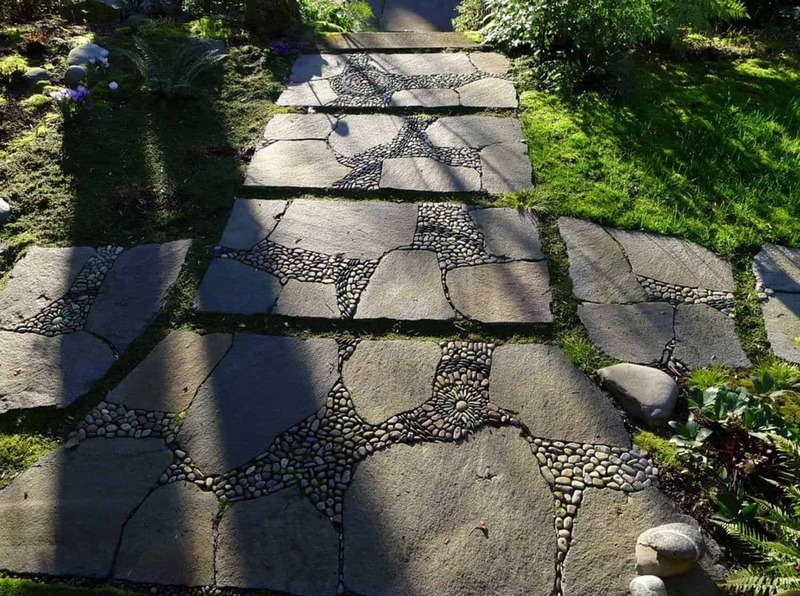 Notice how the diamond shaped stepping stone grow larger and smaller, giving the pathway a sense of movement and perspective. 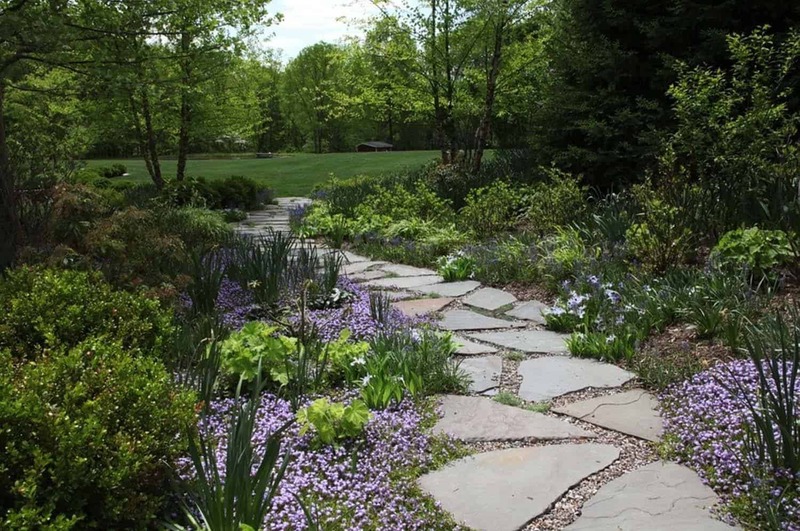 It is important to consider the spacing between each stone so that you may enjoy a leisurely stroll along your stone pathway. 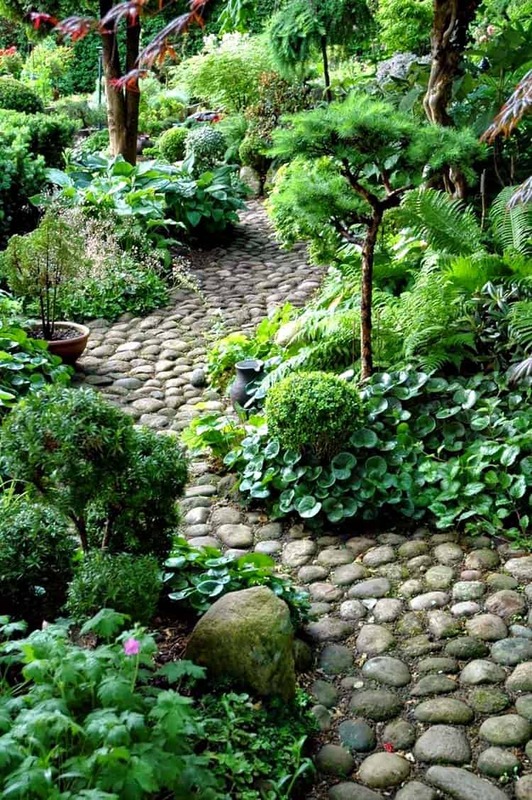 Selecting larger stones would be a good choice for a lush garden, this way the stones will not be overtaken by the garden. 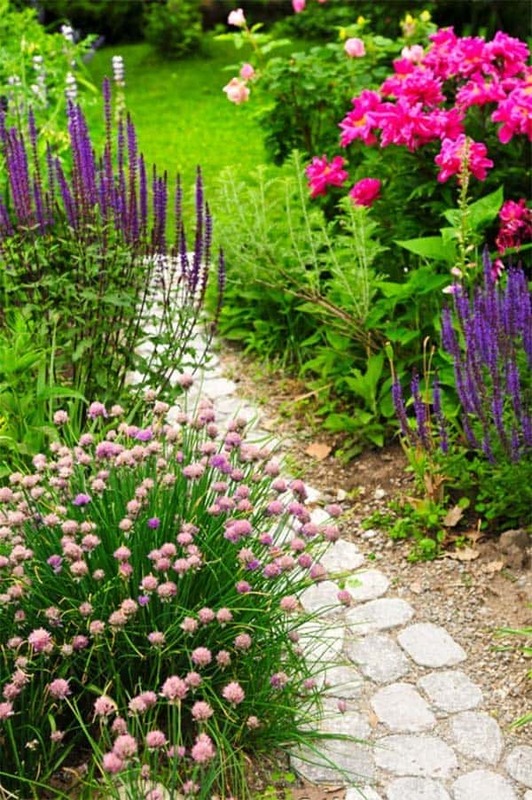 Be sure to keep your plants trimmed so they do not cover up your path. 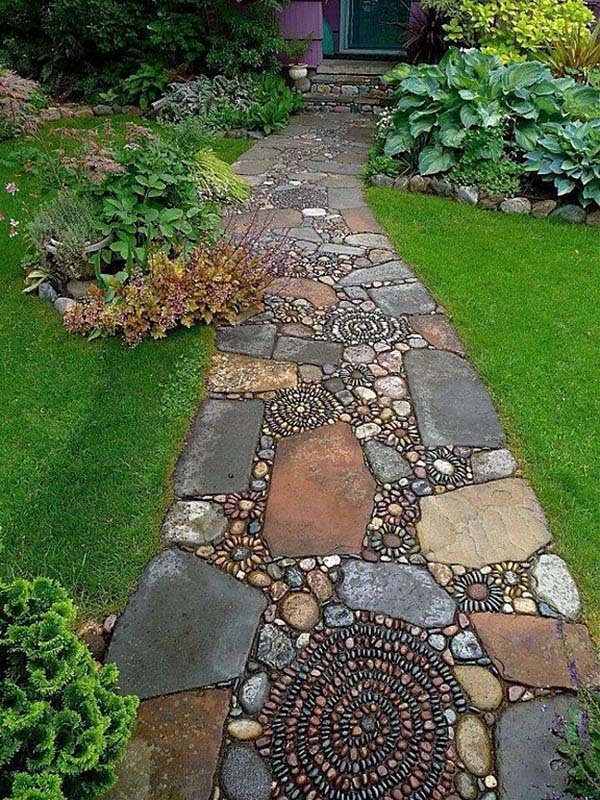 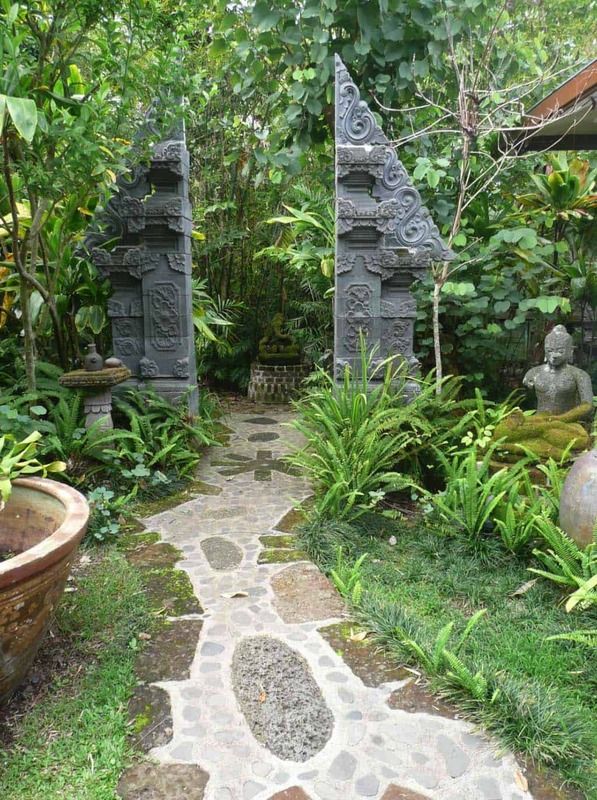 Stones can be the same size and shape to create a more symmetrical look to your pathway. 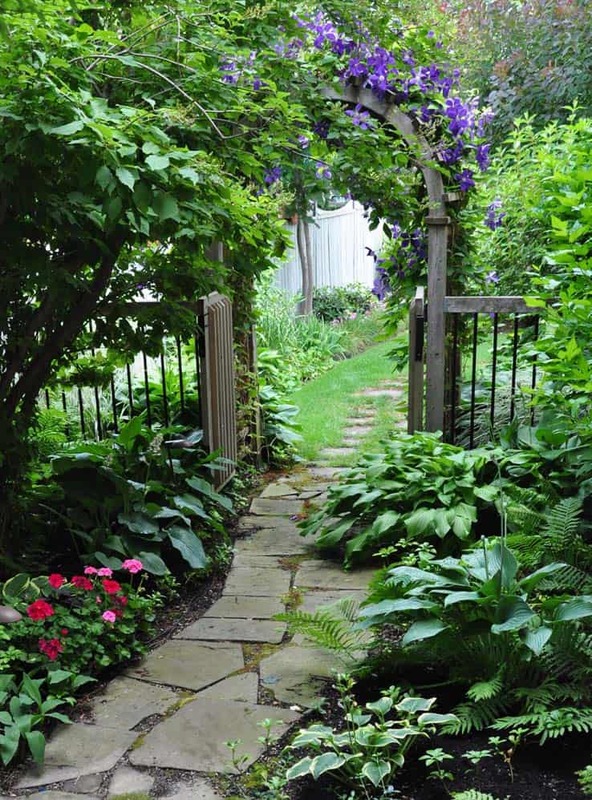 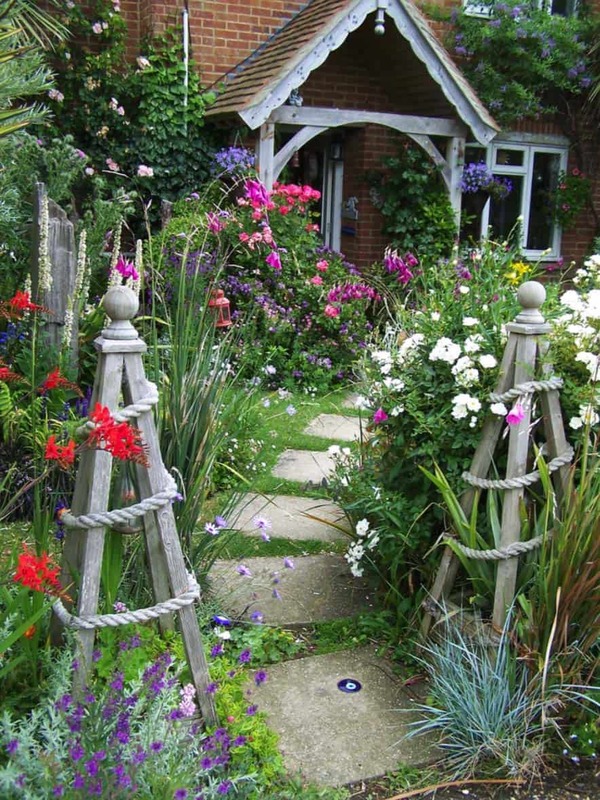 Here the path leads through a beautiful garden filed with trellises. 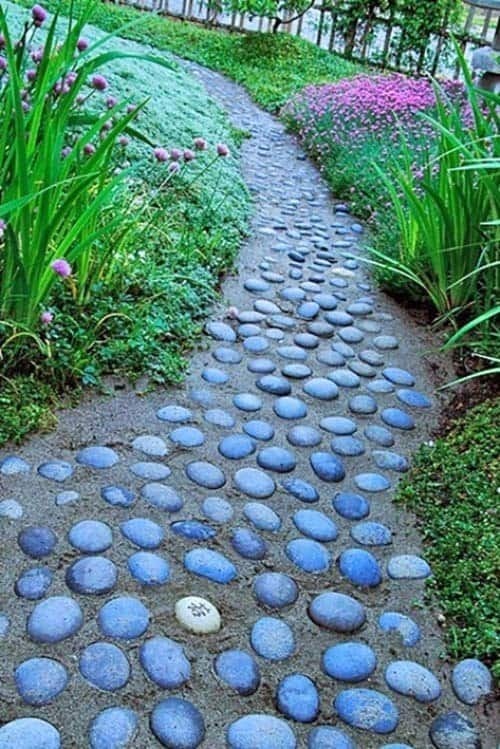 The color of the stones contrasts nicely with the grass that surrounds it, helping to keep the pathway visible. 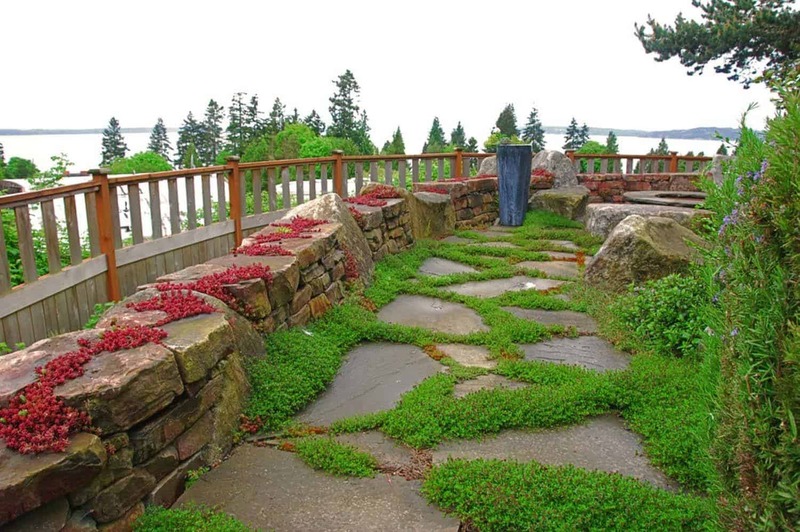 Above, the steps seem like they are native to the landscape, surrounded by grasses and wild blooms. 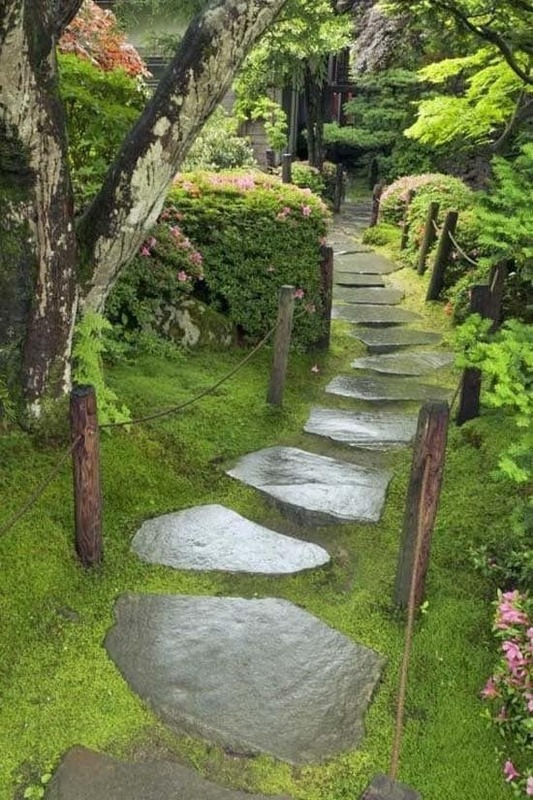 Moss could also be used to fill in between the spaces of the rocks. 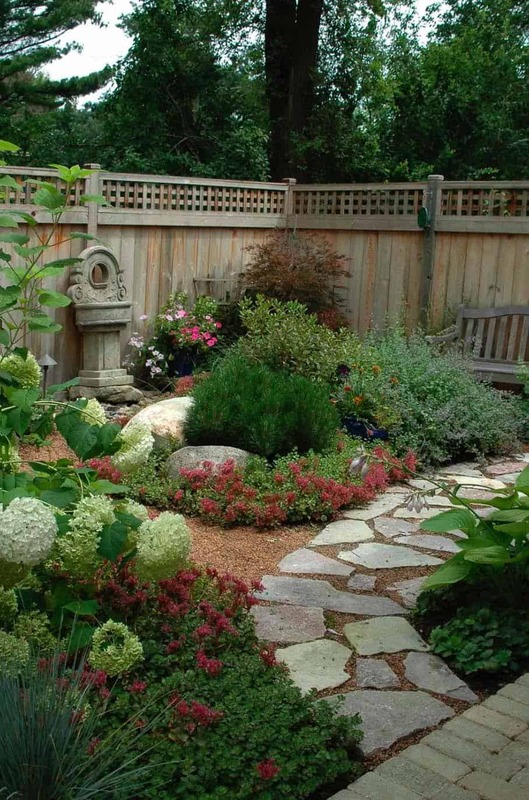 A backyard patio features a trellis and stepping stones that leads out to a heavy growth forest. 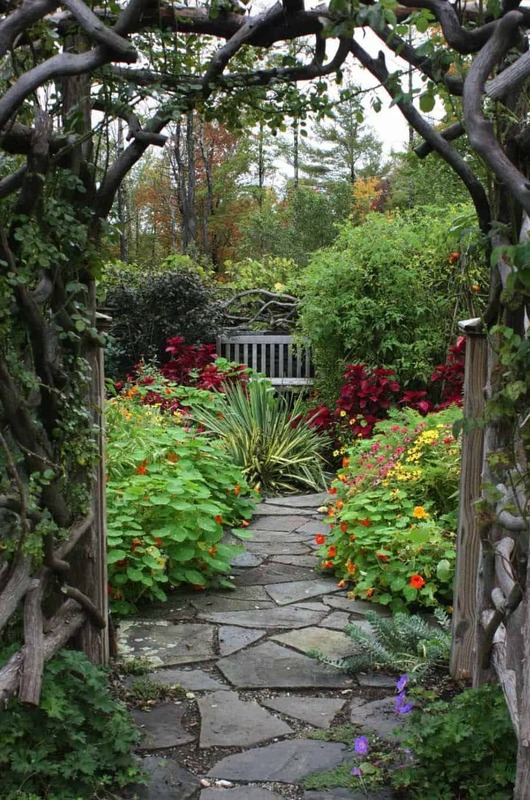 To the right there is a garden shed in a private residence in Ontario, Canada… the image was taken by us! 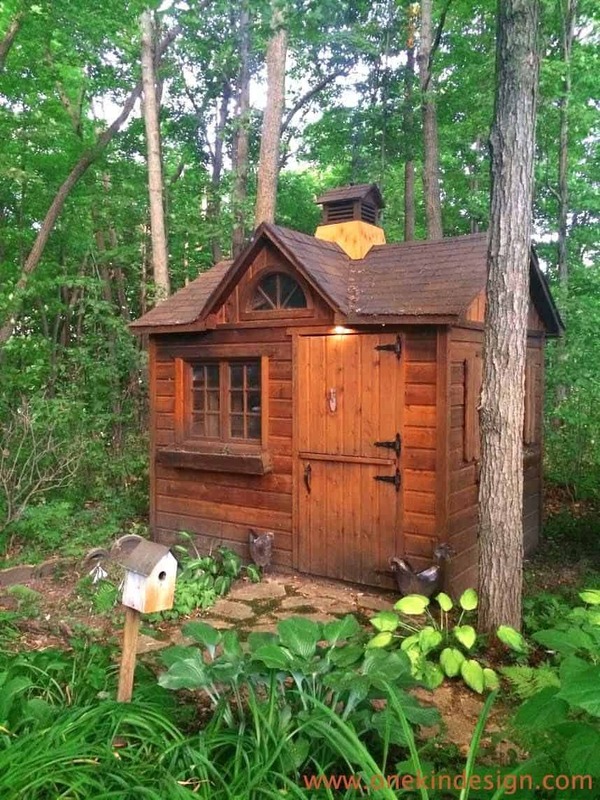 We included an image of the garden shed below, a very handy thing to have if you love to garden. 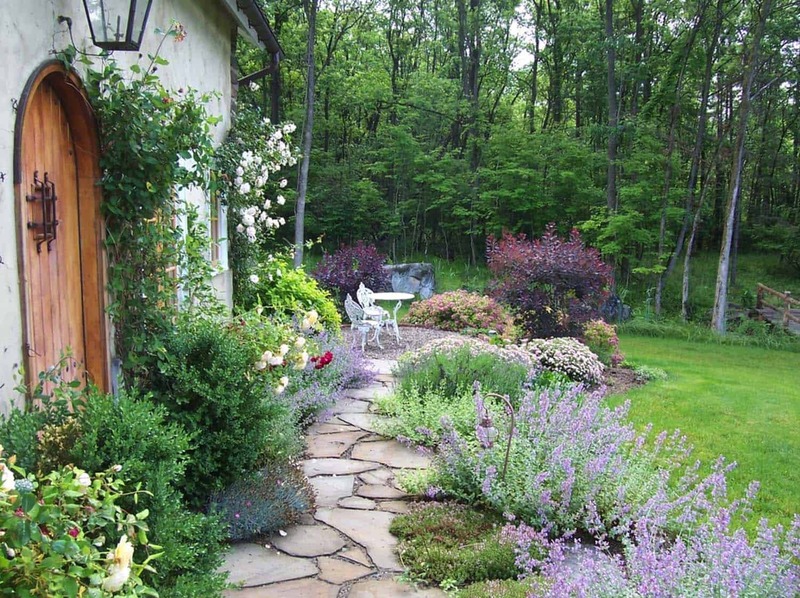 The gardens on this property are very beautiful and natural, we will be showing the rest of the property tour in a future article. 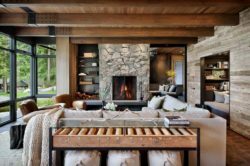 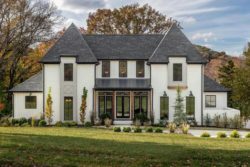 If you have a home that you would like us to feature, please submit it here.